Your Soul is always sending you Messages about your Twin Flame to Assist you on your Journey – Are You Listening? 9 Keys to Reliably Connecting to your Intuition without Ego and Subconscious Fears getting involved. Thanks for this very interesting question, Kaya! I’m glad to get the chance to answer this as it’s something I’m often contacted about. 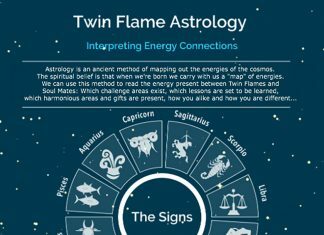 Most Twin Flames get intuitive insights and dream about their divine counterpart – sometimes these things can seem illogical and confusing. When you start your Twin Flame journey and Ascension is triggered, your soul begins to take a more active hand in your life in order to assist you back to that place of original harmony and Unconditional Love with your Twin – it’s a big part of the life’s experience you planned for yourself. Your soul self, or “higher self” – the eternal spiritual consciousness that is you, is always working to get you insights and messages to help you on your path. For Twin Flames, the kundalini rising that occurs with the initial encounters often triggers latent spiritual abilities – such as tendencies to clairvoyance, Twin Flame telepathy , actually feeling your Twin Flame’s feelings and sometimes even physical symptoms, and other ways of receiving information from your “higher faculties” and your Twin Flame. This is a great help on your journey, because you get to tap into resources you may never have been aware of. Most intuitive messages are symbolic, in order to bypass any Ego Resistance and skepticism. Here’s how it often works: Say your soul wants to tell you honestly that your Twin Flame loves you unconditionally – but right now, you’re in a frame of mind of blame and negativity where you’re not open to hearing this. Your soul therefore choses to show you the message through symbols instead – such as white doves, red ribbons, eternity symbols and other classic images of love. This is because you won’t be as likely to reject these symbols because you might not realize the meaning at first. So you’ll receive the message, even though you might not realize it. Symbols are ways of bypassing our Ego minds and resistance. If you have a dream about your Twin, what feeling did you have in the dream? What feeling did you have when you woke up afterwards? What was the setting like? What colours did you perceive? What do you associate with any symbolic gestures or characters in the dream? The messages you receive are first and foremost meant for you, therefore you always know the answer somehow – even if it’s buried deep in your subconscious mind. Look to your own background and experiences, upbringing, likes and dislikes and associations in order to understand the message. Someone else can give their interpretation, but most often the messages are tailored to you specifically. So let yourself explore. Your soul’s messages are rarely meant to be taken literally. If you see your Twin romantically together with another in a dream, for example, this is way more likely to be either your Ego Fears expressing themselves in a dream, or a message that you would benefit from doing some clearings around jealousy. It could also be a message that fear is creating a block between you (especially if you’ve been asking for help with how to get back together, or to get closer with your Twin). In 99.9% of cases, it’s highly unlikely that you’re having a prophetic dream about your Twin cheating on you. Trying hard and worrying about the outcome creates resistance, shuts down your intuitive channels and actually makes it harder to receive insights. Allow yourself to be carried to the answer… even if your mind can’t get it by analyzing, your soul knows how to “connect you” to the part of your brain where the insight awaits…! Take a few deep breaths, relax your mind and invite your soul to show the way. Modern society trains us to think logically and analytically. Therefore most of us aren’t raised to be used to interpreting, or even open to, receiving intuitive insights and messages from our soul. Often, our “Ego Self” – the earth identity and the logical mind – is so active and busy that the messages go unnoticed. When we are full of thoughts and congested energy it’s harder for these messages to get through and for telepathy to function correctly. Remember how energy works – you are open to receiving what you’re in alignment with vibrationally. Ego is a lower vibration, so raising your vibration ensures that you open up to receiving information and insights from your higher “spiritual faculties” rather than your fear patterns, and that you can tune into your Twin’s soul self and their perspective of eternal love rather than their Ego. Taking off your “thinking cap” and working to relax your mind is also a help in opening up and bypassing the Ego’s control mechanisms. Meditation, journalling and energy clearings are key ways to open up to and tap into your soul’s deeper wisdom. You might find it useful to look up symbols online, but don’t discount your own personal interpretation. For example, a dog traditionally symbolizes fidelity, loyalty, trustworthiness, but if you’re afraid of dogs, for you they symbolize something completely different. Always prioritize your own intuitive interpretation of what you receive, but if you’re unsure, ask to be guided to a site with a relevant interpretation. Note that once you show yourself willing to make an effort interpreting the signals and messages you get, you’ll receive more messages. 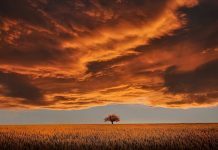 For a few months before my journey started properly, I kept a dream journal and looked up and explored the potential meanings of my nightly experiences – it was an instrumental part of awakening, and triggered the ability to interact remotely with my Twin and to telepathically communicate together. Even if you’ve never had any “psychic” abilities, your body is always giving you messages. This is a big aspect of what we call “intuition”. In reality, it’s your body responding physically to energy. Most of us can feel energy and emotions in our bodies (but we often ignore this). The clearer and more high vibrational you get energetically, the more obvious these physical intuitive messages become. You’ve probably felt it yourself at some point, the sense of nausea and heaviness in your stomach when someone hurt you with words or feelings – a breakup, being fired, getting bad feedback, negative criticism and such. The words themselves don’t hurt you, because they are non-tangible – but the emotions triggered and the negative energy transmitted with the words, registers in your body. Similarly, many get a physical headache from stress and work overwhelm. Again, the ideas and concepts and tasks you’re dealing with can’t physically harm you because they are non-tangible – the calendar full of tasks isn’t literally hurting you. However, the emotions and energy you align with as a result of feeling overwhelmed and stressed mentally, translate into negativity in the body and expresses itself as a physical headache. So keep this in mind: When you have a dream about something, when a thought suddenly pops into your head, when you receive information, when you surf online, when you watch tv, when you talk to friends, when you receive messages and insights – is it causing lightness and joy in you? Or does it feel heavy and negative? Using this as a compass is a great help in reliably connecting with your intuition. Once you begin to open up your channel by using energy clearings to flush out stagnant energy from your system, intuitive messages become clearer and more frequent. Your ability to tap into your deeper wisdom is strengthened. You might want to start meditating, journalling in order to reconnect with your inner wisdom and strengthen your connection to your soul self. An excellent way to get more familiar with your own deeper workings and what truly are messages from your soul and what really regards your Twin, is to make sure you pay attention to your energetic reactions, and consider a starting a journalling practice. As little as five minutes a day can begin to alert you to what’s going on “beneath the surface”, and it helps you familiarise yourself with what’s truly just “mental fodder” and what are “real messages”. If you don’t usually remember your dreams, this is also a great way to increase dream awareness and dream recall. Energy clearing is an enormous help in this too, because it cleanses away congestion, stress energies and other people’s “stuff” and opens you up to your own inner voice and your soul more and more. We human beings aren’t just bodies of flesh and blood, we’re energetic beings. 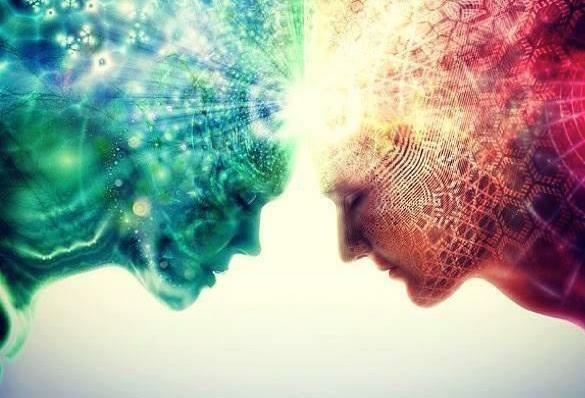 So the clearer your energy gets and the more you raise your vibration out of the habitual patterns and limiting Ego beliefs taken on during life on earth, the more you align with your true soul self and your Twin Flame. Keep in mind that the human mind is incredibly complex, and scientific research shows that up to 98% of all our mental activity happens on a sub-conscious level. Sometimes our dreams are reflections of our subconscious reactions to stress and what we’re dealing with in daily life, and sometimes we might be hearing a song on repeat in our minds simply because we happened upon something that triggered the memory of it – because a friend’s sentence reminded us of it, or because a particular movie title sounded a bit like it. And importantly, sometimes Twin Flames actually do more than just “dream” about each other – many Twins experience 5D encounters during sleep but often find it hard to differentiate regular dreaming from these “genuine” interactions. We go into this and much more in the full Vibrational Alignment Program for Twin Flames. Use the above keys and tips to help you get a “feel” for what’s really going on and to get in touch with your own inner wisdom. If you’d like to get started on clearing your energy and strengthening your intuition, have a look at my free downloads for Twin Flames here.